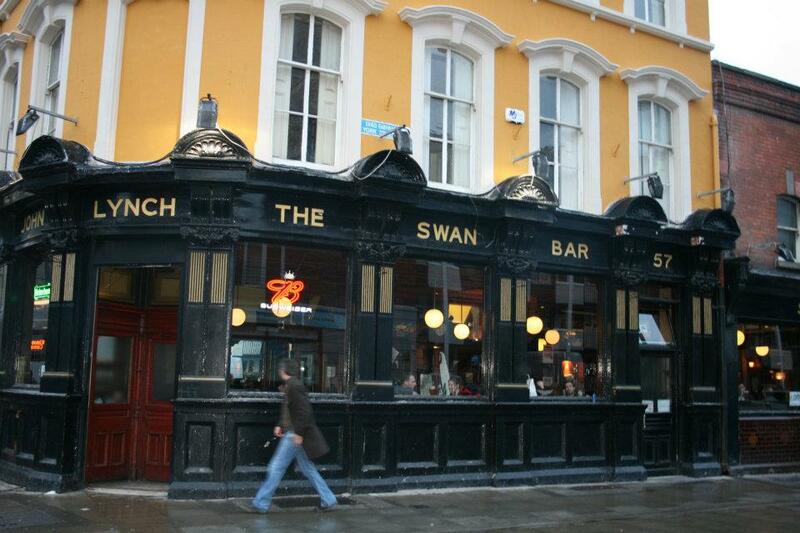 And so began the ownership of the Lynch family of The Swan on Aungier/York St that continues to this day. 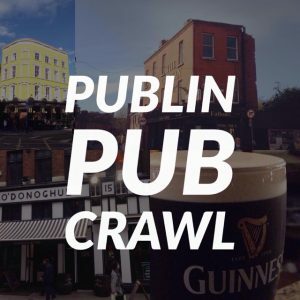 The origins of the pub date back to 1661, and the Lynch family have been in possession and stewardship of the pub for 79 of its 356 year existence. 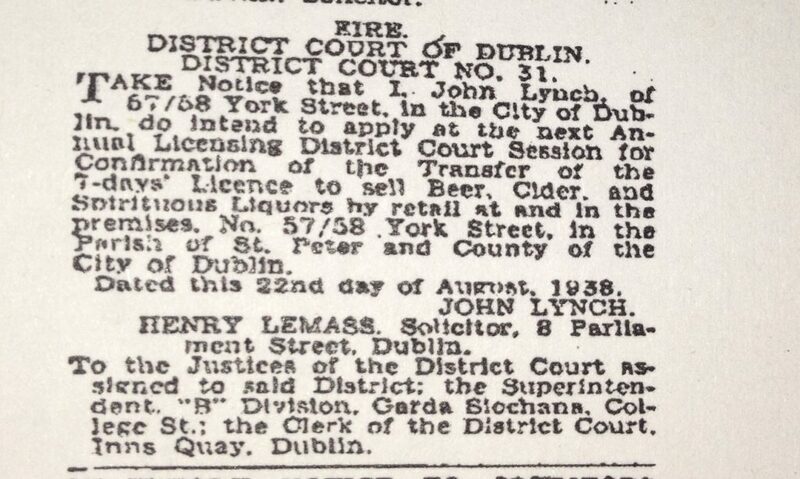 This notice in the Irish Independent from Saturday March 12th 1938 is one of several documents we found through the Irish Newspaper Archive relating to the pub. 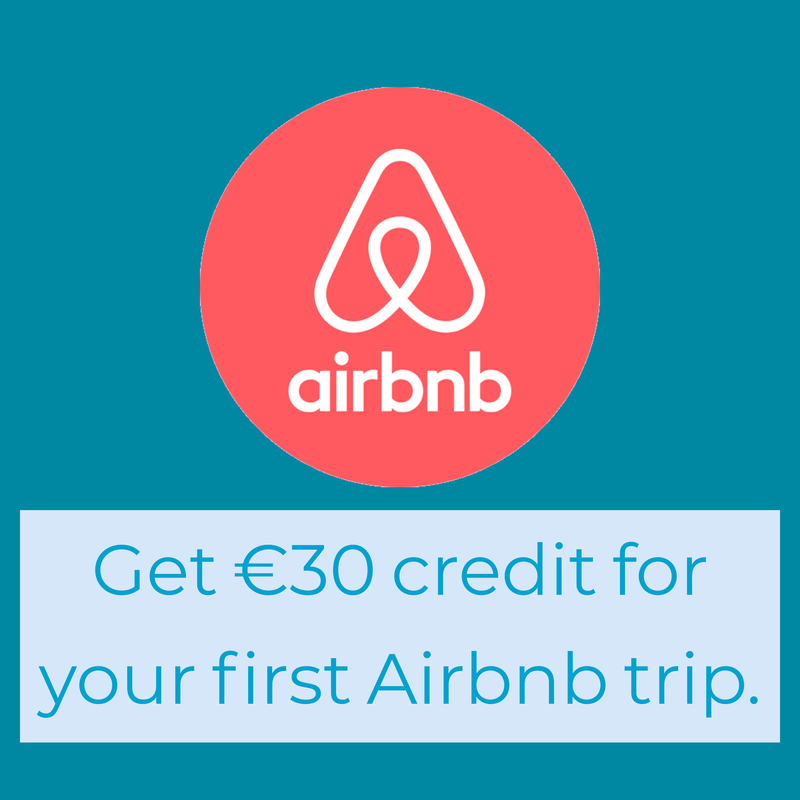 Earlier in the year there were notices of the auction of the premises owing to the retirement of John Maher. Mr. Maher had owned and operated the pub on this site for 28 years, seeing it through the 1916 Rising, the War of Independence, and the Civil War. 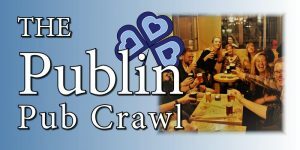 During his tenure the pub was involved in the fighting during both the rising and the civil war. Mr. Maher even put in a claim for damage caused during the rebellion. In the advertisement for the auction, specific mention is made to the mahogany fixtures and mirrors, 2 of the things Mr. Maher made a claim for reimbursement following the rising. 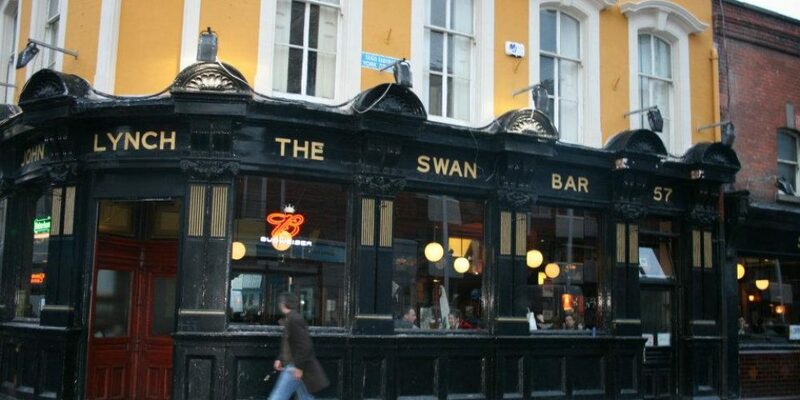 Prior to Mr. Maher, the pub was owned by Thomas F. O’Reilly, who was responsible for the renovations that gave the Swan the Victorian design that is still retains to this day. 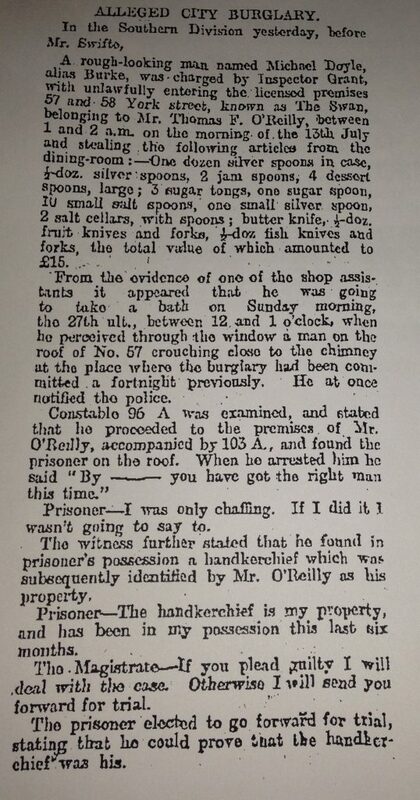 One article about Mr. O’Reilly relates to a robbery at the premises in 1902. 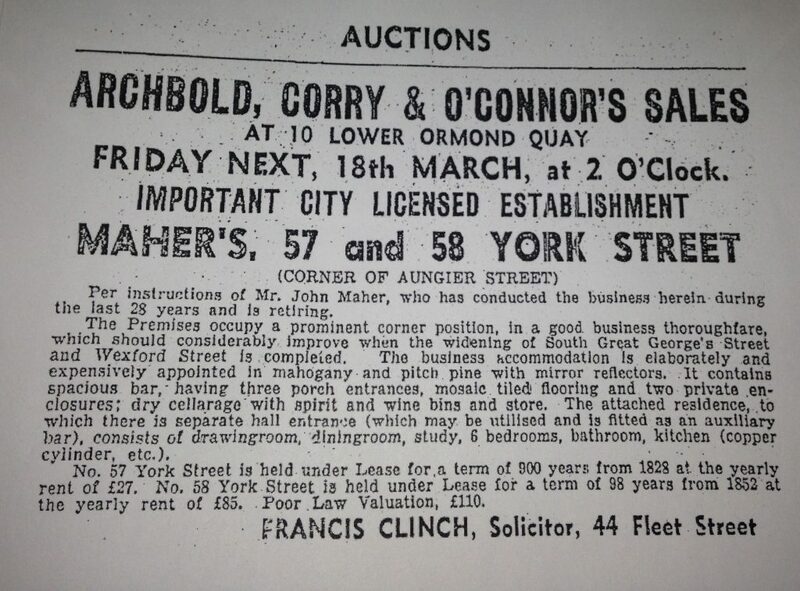 Thomas F. O’Reilly sold the pub to Mr. Maher in 1909, Below is the advertisement in the Irish Independent giving notice of the auction.